Jeff Lee has served on the city council for six years. Lee has worked hand in hand with Mayor John Shoals in promoting marijuana businesses as an answer to the city’s financial issues. Elizabeth “Liz” Doukas works as a court reporter. She is running for office to stop what she sees as preferential treatment for public officials and their select business interests. Debbie Peterson, a current council member, served as mayor from 2012 through 2014. While visiting Hawaii, Peterson had another resident take out nomination papers, gather the signatures and send the information to Peterson who swore her oath in front of a notary in Hawaii. From the Grover Beach nomination papers. City Clerk Donna McMahon said the city attorney told her to “waive” several requirements for Peterson. California Election Code 202 allows a person who is deployed on active military service outside of the state, to file through a power of attorney, but does not waive the rules for any other class of candidate. 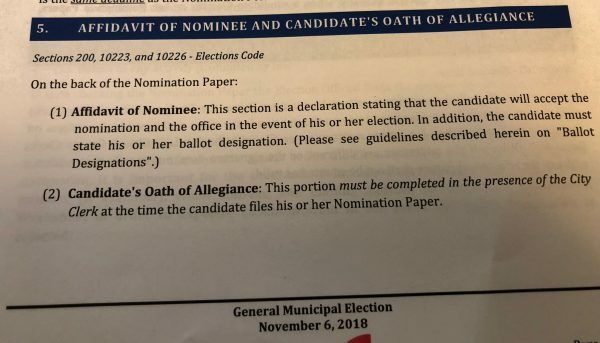 City Attorney David Hale does not believe the elections code requires “the oath to be administered by the elections officer of the candidate’s city,” he said in an email. It is possible one of the other candidates will contest Peterson’s eligibility. Go Debbie, go! I hope this misunderstanding gets cleared up and Debbie is able to continue as the best mayoral candidate on the ballot for Grover. Cities are permitted to have stricter rules than the state code, but not more lenient. Grover Beach’s rules are clear, you have to swear an oath in person to the city clerk. Debbie knows this, she has run many times. She just did not get it all together in time. Grover has no “rules”. The guidebook is general information, and is wrong and is not “rules”. Ordinances are “rules” and Grover has none. And, only charter cities can have such rules. Grover is not a charter City. Thank you Kevin for correcting a misunderstanding. If only the people that downvote had an argument… it appears there is none. After a great deal of research, I can find NOTHING in the Elections Code that supports the notion suggested in this article. There was no special “waiver” here. The Elections Code was followed, and several attorneys reviewed it. 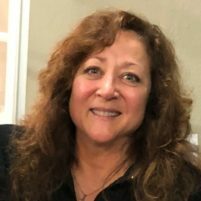 Grover Beach DOES NOT have it’s own “rules” and cannot have different rules than the Elections Code. The image is from a candidate guide book which tries to simplify the Elections Code. The guide book is inaccurate, and that was reviewed and determined to be so. That is from the city’s document Kevin. Are you saying the city is putting out inaccurate documents? Yes. The city’s document is a guide book which attempts to paraphrase the relevant Elections Code sections for candidates. It is inaccurate in this regard. The Elections Code itself does not have this requirement. 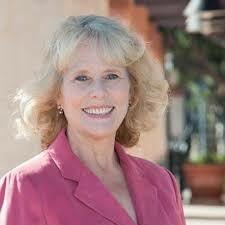 The Grover Beach City attorney does NOT have the authority to override election codes. Just as Tommy Gong did recently in interpreted his own election rules, it’s the same allowed here? Tommy Gong has no “rules” of his own. He misinterpreted state law, and the lawsuit is still ongoing. The document states “must.” Most documents that have no leeway will use the word “shall” which allows for no deviation. “Must” is like “may” where there is room to make to adjust for whatever action is to be taken. If you ever served in the military this no big deal. The document is wrong. The Election Code has no such requirement. I reviewed the Election Code and you are correct. My comment was in regards to what was posted in this article. Mr. Hale: If the code does not require the oath be done in front of the city clerk, it is clear your city rules require it, or why have it on the documents. The city follows the Elections Code. They can’t adopt their own rules, nor have they. The document is a guide book and it is wrong. The Elections Code controls and it was followed. People in Grover Beach have complained for years about the special treatment given to public officials in Grover Beach. Debbie used to be above the fray, but once she decided that she is above the rules, she joined the ranks of those in office who use their position for personal gain. No one received special treatment. The image is from a document that is erroneous. The California Elections Code has no such requirement. Nice to have the City Attorney on your side….. So, you seem to be saying no one received special treatment. The City must follow county,state and federal law and cannot create guidelines that violate the law. When the legal requirements were researched the City had to interpret their guidelines in light of the law, as was done. Had the City not advised as they did the City would have been favoring the complainant Liz Doukas and would have been violation of the law. As it is all was in order. Only the law was favored.